Oh yes yes yes. Here we go now oh sweet nectar of heaven oh yes. Here are the 10 krill that daddy likey. Daddy likely these krill. 1. Aaoogah! Aaoogah! This krill is a special one for Daddy to look at. Daddy likey this krill please and thank you. 2. Mmmhmm. Daddy likey. Daddy likey very muchy. 3. This krill is daddy’s cup of tea. Mmmhmm. This krill is Daddy’s tall glass of water. 4. Hubba hubba. Hubba hubba, if you catch Daddy’s drift. Regarding this krill… the one that likey… is Daddy. 5. Get a load of those filter setae. Wowza! 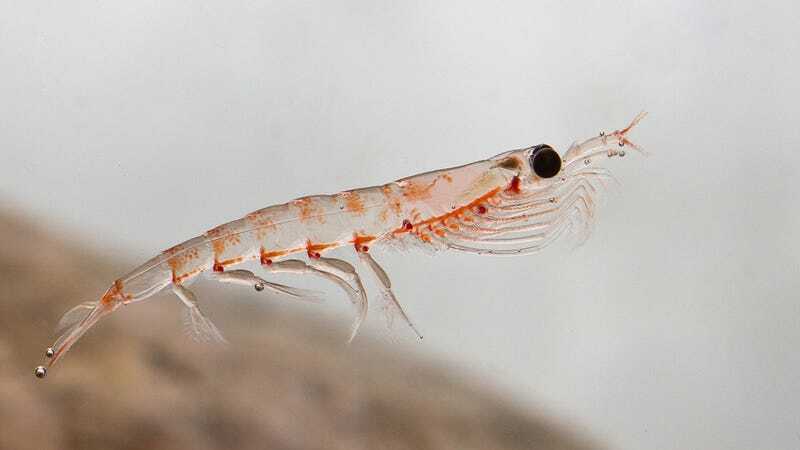 Daddy doesn’t see a krill with mouthparts like that every day. Daddy is pleased with this krill… oh yes... Daddy is very pleased indeed. 6. This krill doesn’t know what it’s doing to Daddy. 7. Heck of an uropod on that krill. Oh yeah, that’s nice. Daddy approves. Daddy tips his hat to this krill. Daddy likey very much indeed. 8. Daddy could watch this little crustacean all day. Yes yes yes. 9. Going so soon? It breaks Daddy’s heart to see these krill swim away. 10. Daddy can’t wait until the next time these krill mosey on by. Mmmhmm. Hot damn. Daddy did certainly likey. Oh yes.